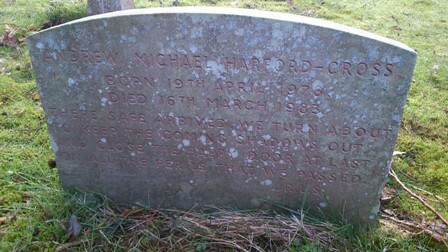 Andrew Michael Harford-Cross. Born 19th April 1978. Died 16th March 1983. There, safe arrived we turn about to keep the coming shadows out. And close the happy door at last on all the perils that we passed. R.L.S.